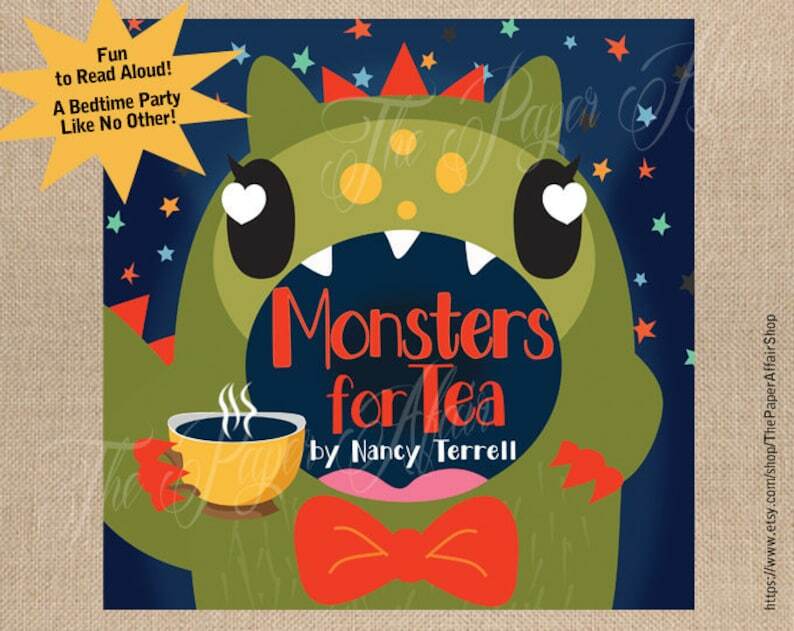 Monsters For Tea - A Bedtime Party Like No Other! A bedtime party like no other about a young girl named Luna who suffers a terrible nightmare and awakens frightened by the thought of monsters. What follows is a grand tea party where Luna learns her monster guests are not scary at all but offer courage, comfort and laughter to put her at ease and make sweet dreams come true. Charming to read aloud with a sweet ending. Please include in comments who to make the signature out to or if you prefer no signature. Seller was very prompt with her replies regarding the design and worked with me. Error free, vibrant colors, quick turnaround. Will definitely use again for invitations! Received edited version quickly and it was exactly as I requested. Will shop this shop again!